Pass Your DOT Medical Exam! Dr. Quigley knows how important it is that you continue your livelihood as a commercial driver. With his extensive knowledge of the DOT Physical Exam medical guidelines, Dr. Quigley will steer you through the DOT Physical Exam requirements so you can Keep on Truckin’. From US 395 take the Plumb Lane exit and head east, go past Virginia Street and take a right on Lakeside Drive. We are located on the left hand side of Lakeside drive at 1675. Stewart M. Quigley, DC, Nationally Registered Certified Medical Examiner, has been in practice since 2007 in Reno, Nevada and has performed hundreds of DOT Physical Exams and CDL Physicals Exams for commercial drivers. He received his certification for DOT Physical Exams in April 2014. 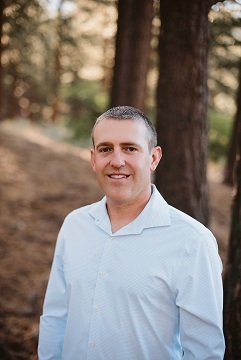 Dr. Quigley attended UNR for his undergraduate studies then graduated with honors from Palmer College of Chiropractic West where he earned his Doctor of Chiropractic degree in December, 2006. He is a licensed chiropractor by the State Board of Nevada. Dr. Quigley is a member of the Pi Tau Delta Chiropractic Honor Society and has been certified by the National Board of Chiropractic Examiners in Parts I, II, III, IV & Physiotherapy. He has attended hundreds of hours of continuing education seminars to stay up to date with the advances in medical and chiropractic research, including DOT regulations for truck and bus drivers.